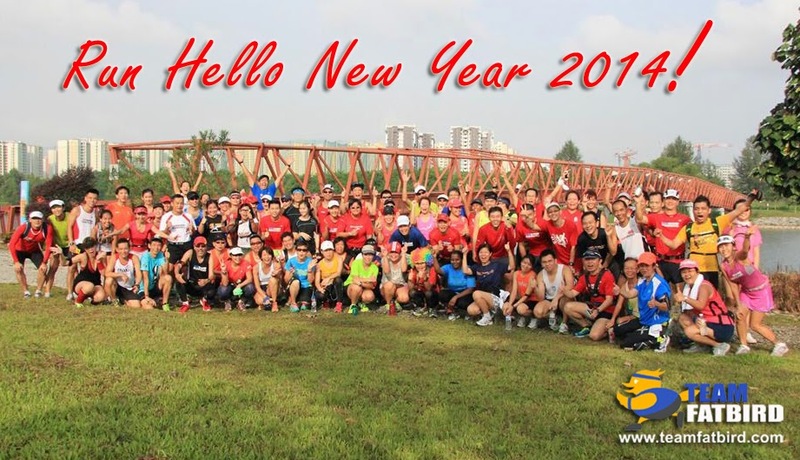 100 FatBird Runners & friends (out of 145 who signed up but didn’t show probably due to the late night party celebrations…haha) turned up to Run Hello to a brand New Year 2014. The cool and cloudy morning set the tone for a scenic 10-18km flight around the scenic Serangoon-Ponggol Marina. 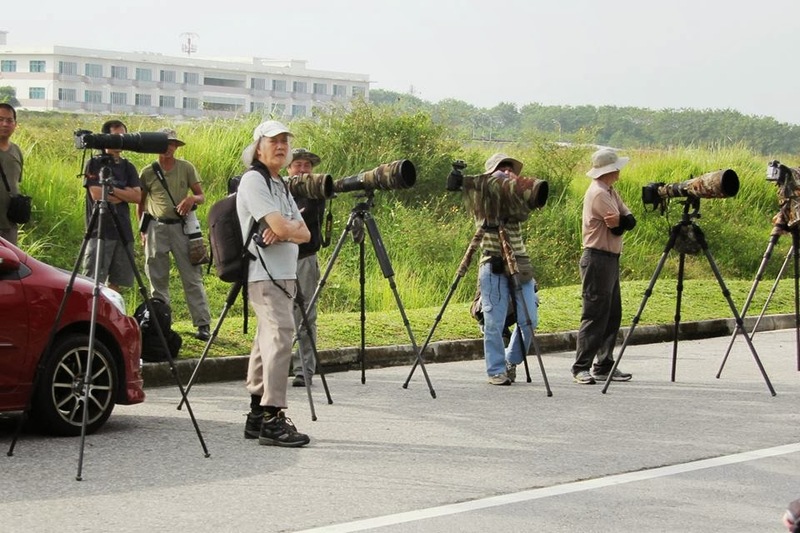 After well wishes of “Happy New Year” by both ‘New’ & ‘Old’ birds, but not before customary Group Photos, the respective groups took off in the direction of Serangoon Park Connector. For many of the runners, both of whom lived nearby and faraway alike, this route was as New as the Year – they soaked in the atmosphere and surroundings with an air of festive mood, shouting out New Year greetings to one another as well as folks & families out exercising and running. 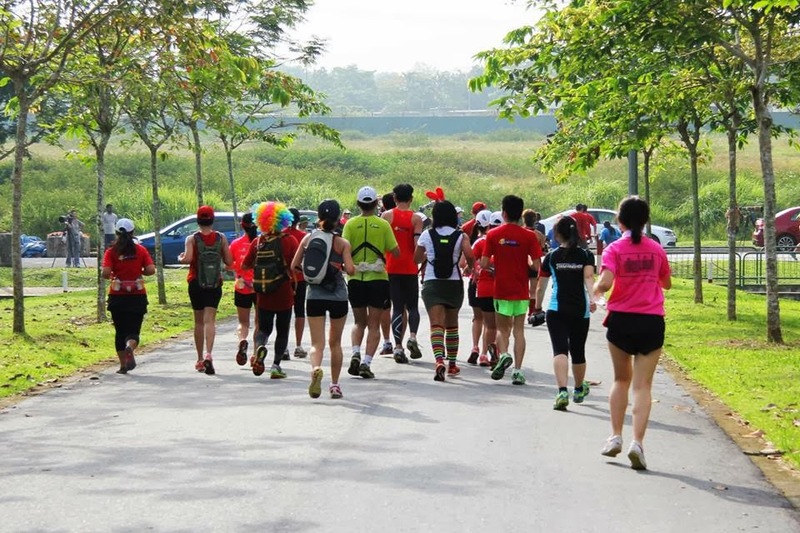 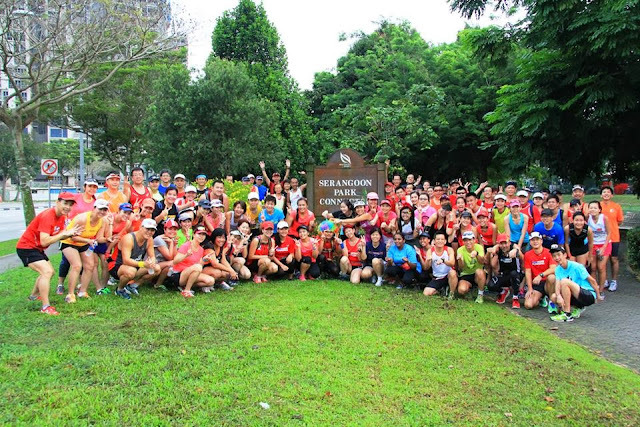 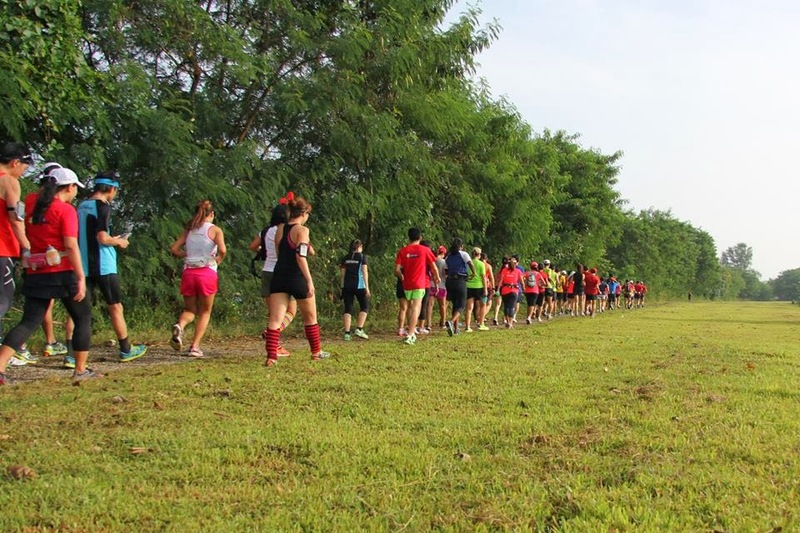 We were informed of a New Near race by Mileage happening at Ponggol Park, so the group was on the lookout in order not to choke off any access paths. The FatBirds, many geared up in red with the occasional New Year ‘mini’ hats and ornaments, were prancing and dancing to the rhythm of the flock along the calm and serene Serangoon River. 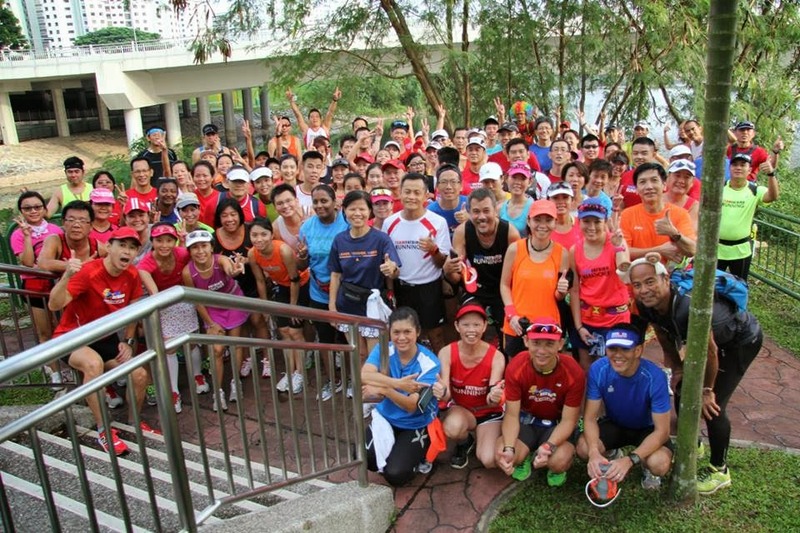 After 2.5km of riverside running, the flock gathered at the junction of Ponggol Park/Ponggol Promenade to watch the lead Mileage racers completing their races, sang some New Year tunes and took a couple more group photos. 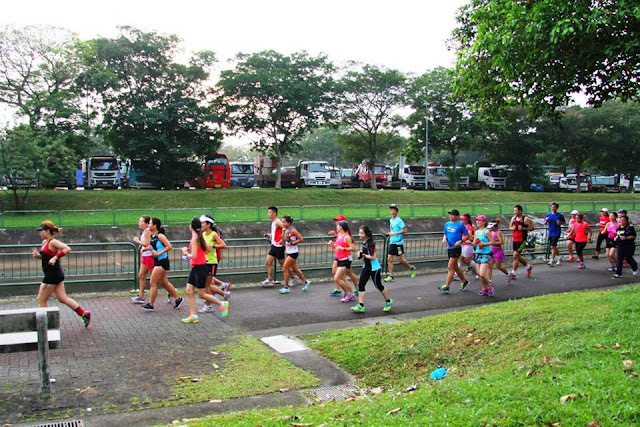 The stretch along Ponggol Promenade was decked with Mileage racers and we shouted out pleasantries and words of encouragement for many of the runners returning. The next stop was at Sunrise Bridge overlooking the Ponggol Waterway – and of course, we could not pass up another nice photo opportunity. 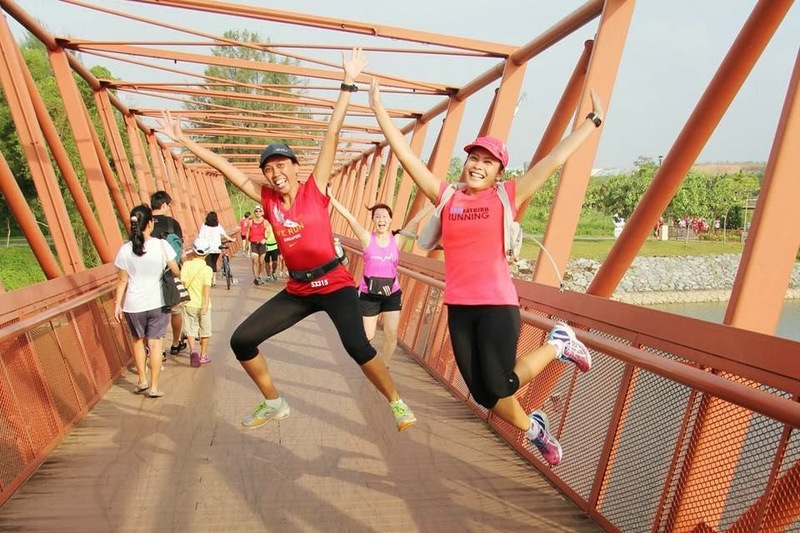 From the bridge, we could see Coney Island and the Ponggol Waterway in the horizon, making for quite a breathtaking sight. From there, we crossed the large Red Bridge to the Lorong Halus side – and after someone suggested a visit to the Ponggol Dam, we made a beeline through muddy terrain to reach the bird sanctuary where all the photography enthusiasts and bird watchers were in position. 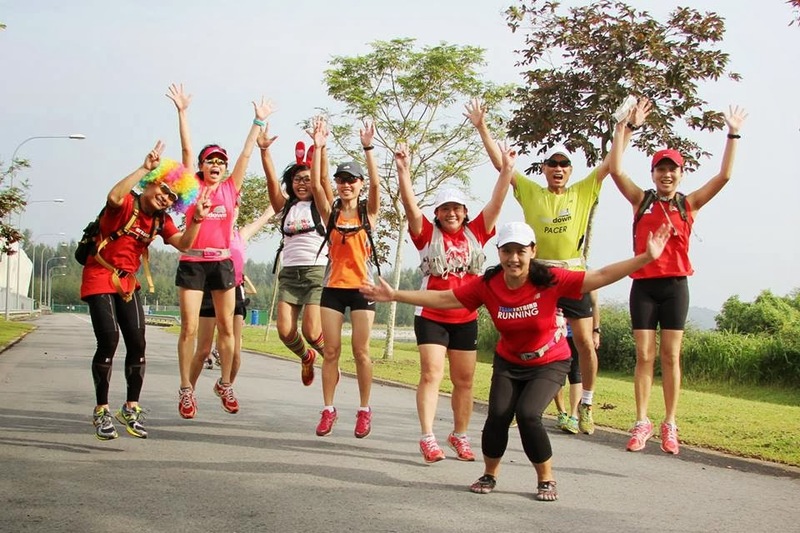 We were amply rewarded with a few beautiful group photo backdrops before ‘flying’ by the road back to the Reservoir to rejoin the other party that was doing a shorter distance and resting at the Shelter. After yet another series of Group Photos, we crossed over the Red Bridge with some jump shots (good fun especially done as a group after 11km of hard running) before proceeding back along the boardwalk passing by the restaurant row (ah, we had intended for a group photo there), but we guess the runners were just happy to head straight back to Heartland Mall to settle their growling tummies. 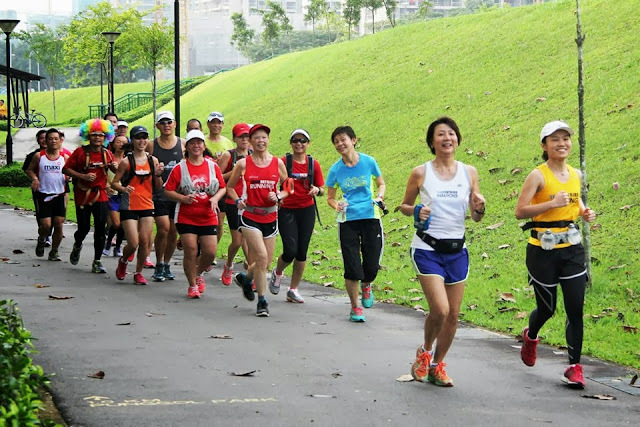 It is amazing how much fuel we burn via such fun and easy-going runs – we actually felt a lot hungrier when compared to doing harder runs (minus the start/stops/climbing/chit-chatting) which was just opportune to help us rid the festive food excesses. 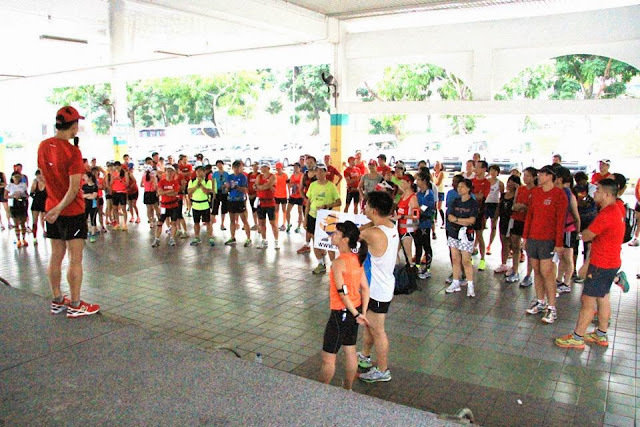 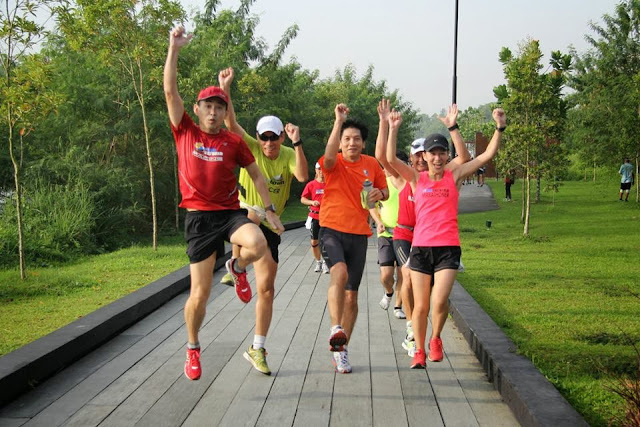 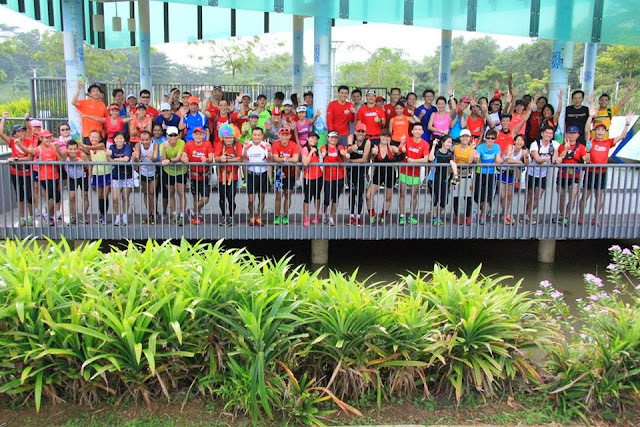 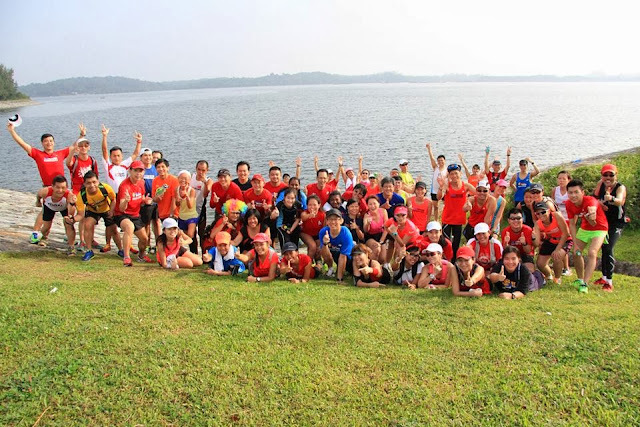 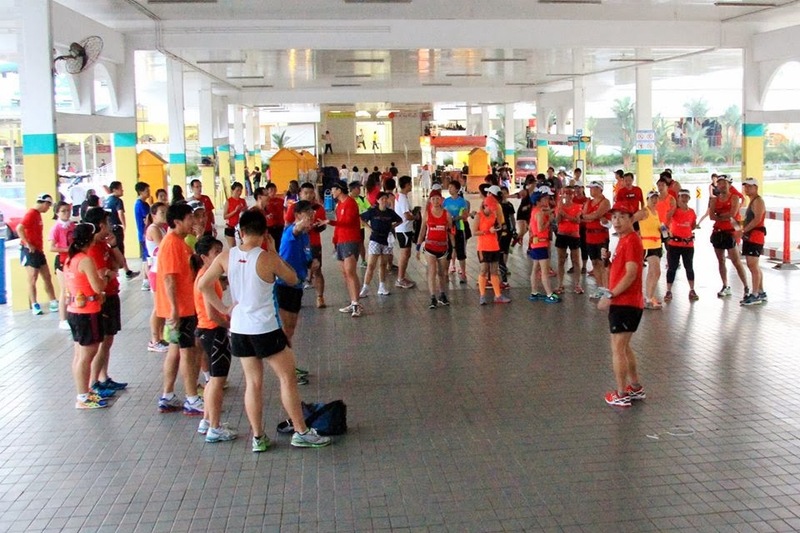 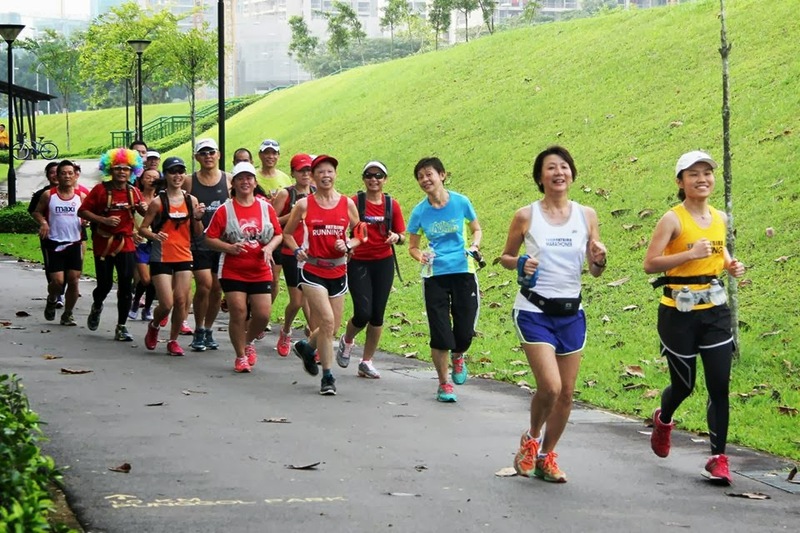 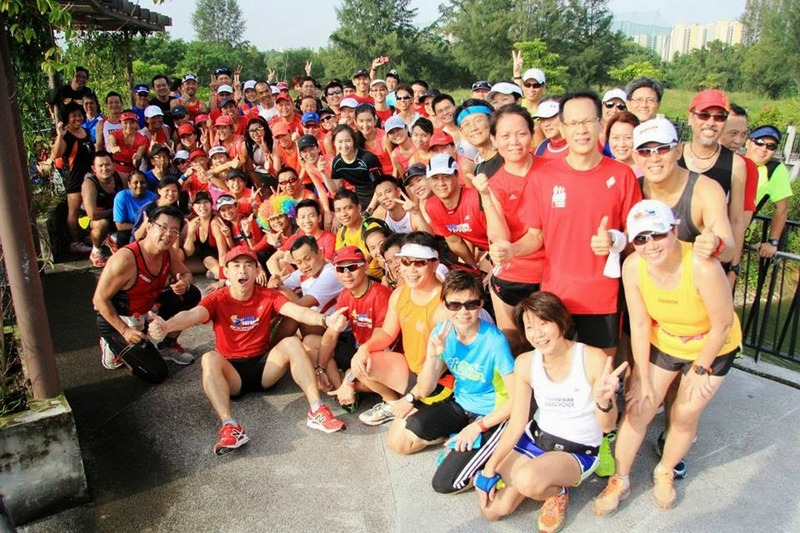 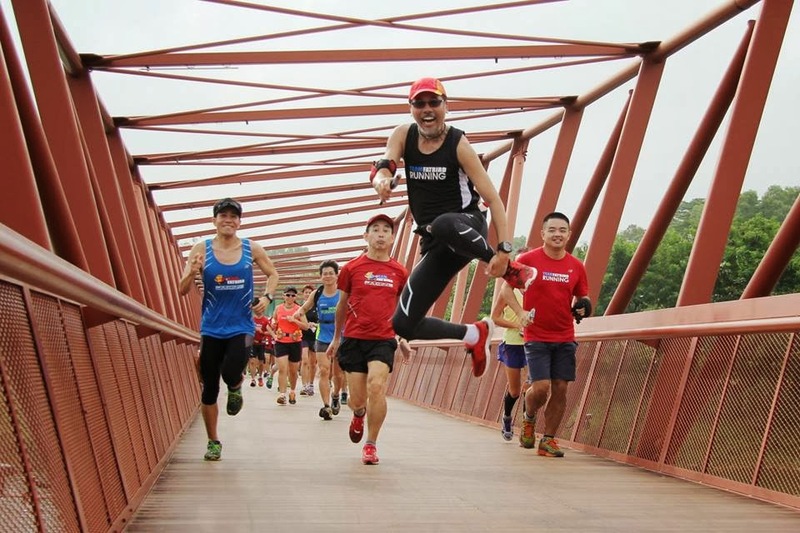 The run concluded on a Happy note by 11am, with many of the runners happy they woke up early on a New Year holiday morning to join the FatBirds for yet another successful and happening Holiday Weekender Run. It was a great start to the New Year 2014. 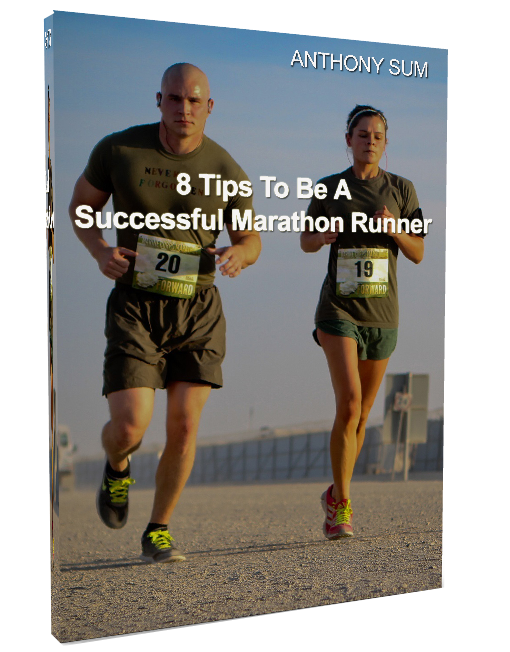 We wish all FatBird Runners and friends a Successful and Rewarding New Year ahead! 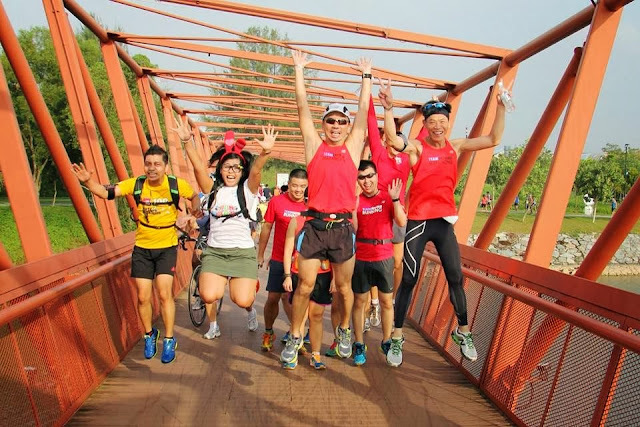 3 Cheers – Hip Hip Hooray!